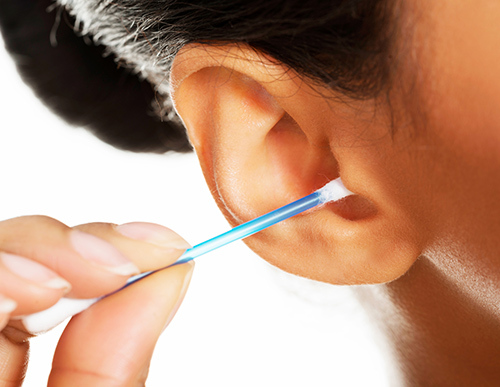 Cerumen is a special ear cleaning solution that you should use to clean out your ears. And cerumen, by any other name, is ear wax. Special glands in your ears produce it for cleaning and other ear health benefits. Instead of aggressively poking around in your ears to remove it, you should just let it be. Cerumen was specifically designed to grab dust, debris, and other undesirable objects and trap them so they can’t go down into your ear canal any further. Then, as you go through your day talking, chewing and yawning, those actions actually move the soiled ear wax down and out of the ear canal where you can easily wipe it out with a washcloth during your shower. To be fair, there are some people who have actual medical problems with their ear wax and need professional assistance. Some people don’t make enough of it, while others make too much. Some people have ear wax that is too wet or too dry, or that may not have an optimal balance of ingredients to adequately protect and clean the ears. Nevertheless, you still shouldn’t try to remedy or clean it out yourself with a swab or anything else (smaller than your elbow). If you’re worried about the health of your ear wax, please get in touch with your hearing care professional for an evaluation. Every day, at least 34 children somewhere in America are carted off, in tears and pain, to the doctor’s office with tympanic membrane tears, cuts, and lacerations from ear cleaning accidents. Sometimes the parents are a little too keen on digging out the ear wax, but sometimes it’s the kids who are learning this bad ear cleaning habit from their parents and lack the fine motor skills to do it without harming their ears. Either way, this is something the entire family needs to stop doing. Remember what grandma said: Nothing smaller than your elbow goes into your ear, or you could suffer pain and hearing loss. The only thing you really need to do to clean out your ears is to take a shower. While you’re in there, use a soft washcloth to gently wipe behind and around the outside of your ears. You don’t need to jam your finger into your ear canal – just wipe the outside of it and this should be enough to remove the used-up ear wax that has already finished cleaning your ears. Once you’re done showering, just use a towel to dry around the outside and you’re finished! Ears are safely cleaned and that hard-working ear wax in your ear canal is free to keep doing what it does. If you have any concerns about your ear wax, your hearing, ear wax removal, ear cleaning habits or anything else associated with your ears, schedule an appointment with your hearing care professional today—and be grateful for your wonderful ear wax!